IIT JAM 2019 Final Answer key has been released. 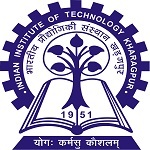 IIT Kharagpur is the organizing institute for IIT JAM 2019. Joint Admission Test (JAM) is the gateway for admission to integrated Ph.D programme at IISc. Through this test, admission to two-years M.Sc programme and other post bachelor degree programme at IITs is carried out. Get complete information about IIT JAM Answer Key 2019 from this article. IIT JAM 2019 Final Question Papers & Answer Keys has been released on 19th March 2019.Click here for answer key. IIT JAM 2019 Candidates Response has been released on 20th February 2019.Click here to get it. IIT Bombay has released the IIT JAM answer key 2019 on 25th February 2019. The answer key has been released for all the 7 papers separately along with question paper. Candidates can check the answer key only through online mode. The final answer key has been released on 19th March 2019. The candidate response is available on 20th February 2019. The answer key can be challenged by logging into the JOAPS website using enrollment ID and password. To challenge the answer key, students have to submit justification and pay Rs. 500 per question. The answer key challenge facility will be available till 28th February 2019. If challenge is proved correct, then the fee will be refunded. IIT JAM 2019 was organized on 10th February 2019. The official answer key has been released through online process in the official website of JAM (Link is given above). The answer key contains all the correct answers of the questions asked in the examination. The answer key will be announced for all its seven papers. The final answer key has been announced by officials on 19th March 2019. The authority has also released the marked responses of candidates. To check the responses, students have to login through the JOAPs using enrollment ID and password. There are three sections in each paper of JAM. Section A contains 30 MCQ questions of 1 or 2 marks. Section B contains 10 Multiple Select questions (MSQ) of 2 marks each. MSQ is similar to MCQ with a difference that in MSQ there may be one or more than one choices. In section C, there are 20 Numerical Answer Type (NAT) questions of one or two marks each. There is a provision of negative marking in Section A but not in Section B and Section C.
In Section A, for 1 mark question, 1/3 marks will be deducted and for 2 marks question, 2/3 marks will be deducted. If candidates have any query regarding IIT JAM 2019 Answer Key, they can leave their comments below. It is available now. Check it through login. Is the mark given on candidates response sheet correct? Why response is not released yet? It’s already 20th Feb but the response sheet is not published why??? The response sheet is released now. official key will be released soon. When I will get the answer key of physics 2018 and how? How to check answer key 2018. PH jam peper with answer key not found. plese provide it. How Can i see my answer key with question paper ? Can i see my checked answer sheet? How can i see my answer keys? Can i see my answer paper? When will be the answer keys released?